We are having the most glorious weather here. Fall is definitely in the air. Hope you are starting to feel some fall where you are. Also, thanks so much for all the birthday wishes yesterday. I had a very good one. Now, let's see what links had the most views last week from the Wow party. First up, with 459 views, is Housepitality Designs who shared this beautiful stain glass window in its new spot. 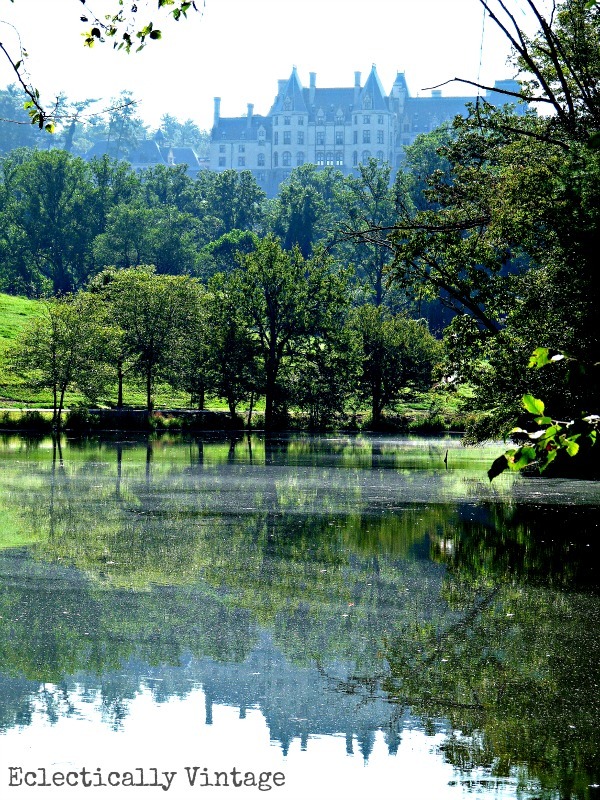 Second, with 373 views, is Eclectically Vintage sharing her trip to the Biltmore in beautiful Asheville, NC. The Paris of the south as she likes to call it. And coming in third, with 329 views, is Town and Country Living. She takes us on this lovely house tour. We all love to look at other homes don't we? Y'all can grab a feature button, but I think all of you already have one. I'm off to get the gray in my hair colored and a cut. Beautiful features Kim. I can see why they had so many views. Shirley's vignette and stained glass mirror is my fav. Love the stain glass...how lucky she was to find that. "the Paris of the South" and others. Happy Belated Birthday! I wish you a happy belated birthday, you are such a special blogging person, i wish all the best for you.I glad the weather has been good, I think everyone likes Fall, it gives us such more comfortable days and nights. Oh my goodness...what a pleasant surprise to see my post among the "Top Three"....I am definitely in good company! !...Thanks to all of you who viewed my post last week..I so appreciate it....Hope you had a wonderful Birthday yesterday Kim! !....until tomorrow, have a great day!!! I'm in great company - Shirley's stained glass window is beautiful! Happy belated b-day Kim! Hope you had an amazing day! Kim, belated birthday wishes! I missed commenting yesterday because of work. I hope you had a fabulous celebration of you! I loved these links! As always so many great links at your parties. Beautiful job on the plate rack! Love the Biltmore Estate; Happy belated Birthday! Yes, we are, too ... finally (yay)! I can see why those links were so popular ... beautiful, indeed! Glad you had a great birthday! I miss your visits and thoughtful comments.